That’s About Enough of That, 2010 | Critical End! Wow, 2010. You’re really turning out to be a bad year for celebrity deaths. 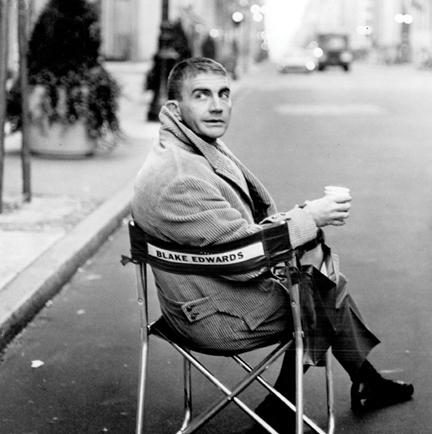 Leslie Nielsen, Tom Bosley, Kevin McCarthy, Dennis Hopper, Doug Fieger, Peter Graves…and now Blake Edwards. While he hasn’t been very active since the final Pink Panther film in 1993, I remember being thrilled to see him up to his old tricks again at the Oscars in 2004. The moment is one of the few fond memories I have of the Oscars over the past ten years, and is definitely worth seeing again, despite the scary, bald, and mostly annoying Jim Carrey. This entry was posted on Friday, December 17th, 2010 at 8:23 amand is filed under . You can follow any responses to this entry through the RSS 2.0 feed. Both comments and pings are currently closed.